From Dana Haynes' book launch, to the Monday Music Lundi Gras concert by Rose City Kings - our list of Things to do will keep you hopping this weekend and into next week. Take a look. Looking for something special to do this weekend and into next week? Check out this list of entertainment events. Many are free and most are family-friendly. Continuing through March 3 — Stumptown Stages presents "Jesus Christ Super Star" at Portland'5 Brunish Theatre in Antoinette Hatfield Hall, 1111 S.W. Broadway, Portland. Performances are at 7:30 p.m. Thursday, Friday and Saturday, and Sunday at 2 p.m. Call 800-273-1530. March 1 (6 p.m.) — Terry Robb will present a solo in-store performance for "Confessin' My Dues" at Music Millennium, 3158 E Burnside, Portland OR 97215. The show is free and open to all ages. March 2 (8:30 a.m. to noon) — Attend Garden Discovery Day at Milwaukie Center, 5440 S.E. Kellogg Creek Drive, Milwaukie. Get a jumpstart on the 2019 garden season at this free event. For complete schedule visit cmastgergardeners.org. Opens March 2 — Oregon Children's Theatre presents the world premier of "The Legend of Rock, Paper, Scissors!" at Winningstad Theatre, 1111 S.W. Broadway, Portland. Recommended for all ages. Visit octc.org or call 503-228-9571. March 2 (noon to 3 p.m.) — Free Rose Bush Pruning Demonstrations, pruner sharpening and soil testing at Seven D's Lake Oswego, 1090 McVey Ave., Lake Oswego. March 2 (5:30 to 7 p.m.) — Knights of Columbus Council 3818 invite all to a Prime Rib and Salmon Feast as a benefit for charities they support, including Father Taaffe House and Mount Angel Seminary. Cost is $30 for adults, $15 for children 12 and under, at Our Lady of the Lake Parish, 650 A Ave., Lake Oswego. March 4 (7 p.m.) — Don't miss the Lundi Gras concert presented by Rose City Kings at Lake Theater and Cafe, 106 N. State St. Lake Oswego. Tickets are $15 each or $80 for VIP seating closest to the stage. Visit laketheatercafe-com.seatengine.com. 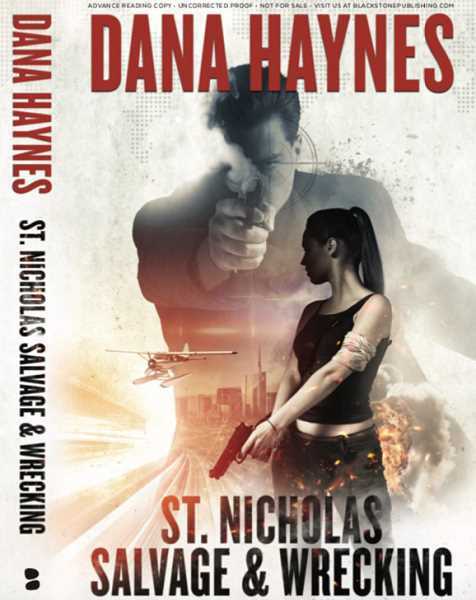 March 5 (7 p.m.) — Book launch party for Dana Haynes' new thriller "St. Nicholas Salvage & Wrecking" at Annie Bloom's Books, 7834 S.W. Capitol Hwy. Portland. This is Haynes' eighth mystery thriller novel. He is the editor of the Portland Tribune and was formerly an editor of the Lake Oswego Review. March 6 (7 p.m.) — Oswego Heritage Council presents its First Wednesday Program presents Jan Newton Becker speaking about Aurora Colony. The talk takes place at Oswego Heritage House, 398 10th St., Lake Oswego. It's free; doors open at 6:30 p.m.